The We Rock The Spectrum Kid’s Gym is a fantastic indoor playground in Tarzana, CA that is full of amazing equipment for kids to enjoy. They have suspended equipment including swings that are meant to help develop balance and offer vestibular treatment as well as a lot of fun (who doesn’t like a good swing). The gym is also equipped with a zip line which isn’t offered in many other locations at all; which offers the fun and excitement of zipping through the air and a very soft landing area monitored at all times by the very attentive and highly trained staff to add a bit of strength and confidence building to the child as well as being a whole lot of fun. Add to these highly fun activities the gym is also equipped with crash mats, tunnels, a trampoline, and indoor play structures. The crash mats and pillows will help to improve motor planning skills, strength, and offer a great amount of fun when falling into them or having a fun and energetic pillow fight together. The tunnels help with decision making, confidence building and motor strength to provide children the opportunity to find their way out and decide which path to take. The trampoline and indoor play structures help to build core and leg strength as well as increase climbing skills and playground skills, all necessary in childhood development. Add to all this awesome equipment the gym is fully equipped with toys that are sensory based as well as ones that help to improve find motor skills through touch, feel, problem solving and thought processing. And if that isn’t enough, the We Rock the Spectrum Kid’s Gym has a full arts and crafts area for kids to get creative and improve their artistic and creative abilities. 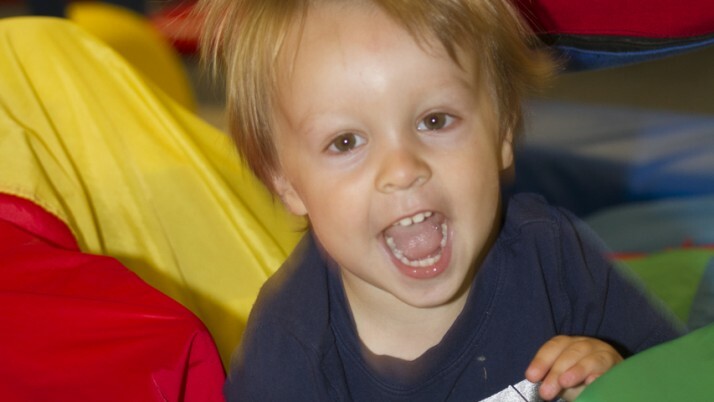 At We Rock The Spectrum Kid’s Gym a full array of play, fun and creative equipment is available to kids of all ability levels making it the best indoor playground in Tarzana, CA. Their motto of “Finally a Place Where You Never Have to Say I’m Sorry” offers a completely all inclusive play environment for all family members to enjoy. If you have a child or children who is special needs, their staff is fully trained and extremely able to ensure they are able to develop, grow and play in the gym in ways you probably never dreamed they would be able to.